This animation simulates a voyage from the sun past all nine planets. For convenience, the planets are lined up in the same direction. 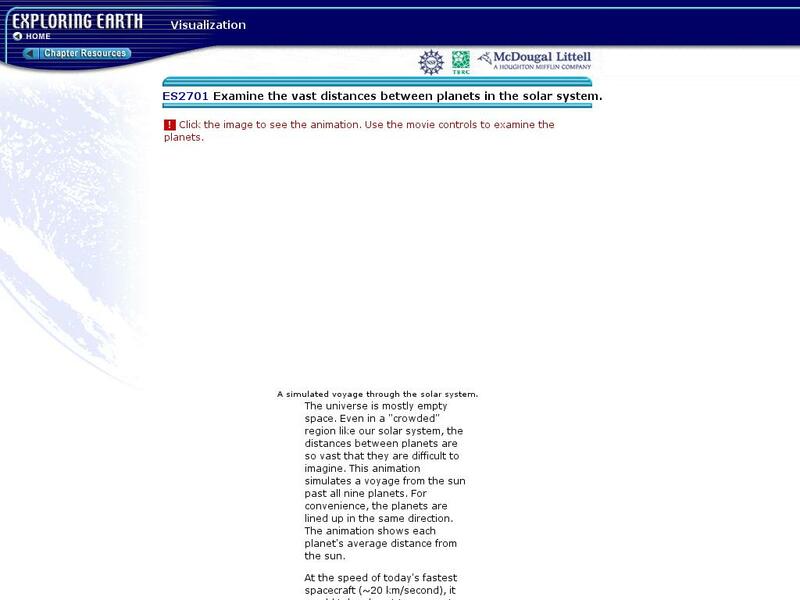 The animation shows each planet's average distance from the sun.